Why Does My Child Have No Friends? There are many reasons why a child at school may lack friends. A child who has just moved to a new school district may simply need time in order to establish a social base. However, other things can also get in the way of a child making friends. Extreme shyness and low self-esteem, high intelligence, poor social skills, notable differences between the child and his peer group, and learning disabilities can all make establishing friendships challenging. Some children suffer from painful shyness. Even around children they know fairly well, they may hesitate to comment or participate. Teachers can help the shy child by praising the child when he or she does choose to participate. 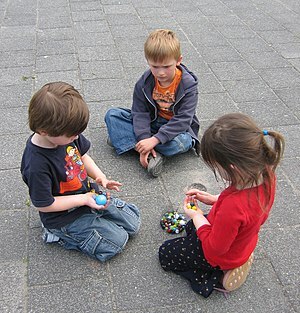 Parents can also help by establishing play dates in a neutral setting with one other child. Alternately, the child may feel more confident on his or her home turf, and a play date in your home may offer a less crowded way to get to know other children. Highly intelligent children may also have difficulty making friends. Their intelligence, especially in verbal language may make it difficult for other children to understand them. However, there is usually more than one child in a classroom with high intelligence. Pairing two very verbal children together can be an excellent way of helping children establish friends. Teaching them social skills, like actually listening to another’s reactions, and responding appropriately, can also help the very verbal child more easily make friends. Sometimes children are behind in social development, and merely lack the skills required to make friends. Learning how to be a friend, and learning skills like listening, sharing, and cooperating can help the child without friends. However, sometimes these children may take some time to learn and develop social skills. Pairing them with a younger classmate, or with a student from a grade or two below the student may help the child gain confidence and be better prepared to make friends with children of his or her own age. Schools often assist children who lack social skills by forming friendship groups. Participation in these groups, especially with other children, can be an excellent way to enhance social development. Learning disabilities also may mark out a child as different. A child whose hyperactive behavior frequently gets him or her in trouble may be seen as having limited friend-making potential. Children who struggle in school and show emotional responses like crying, especially when they are male, may also have limited access to friends due to their behavior. Teaching social skills to these children is again important, and matching them with other students with less social panache may also be helpful. Especially in elementary schools, students spend much of their time socially engaging with each other. The child without friends can feel distanced, lonely and apart from the crowd when no friends exist to include him or her. This can manifest in depression at home, disinterest in school, and lack of desire to learn. Thus the child without friends needs help from parents and the school. Even one friend to see when one gets to school can significantly impact the way a child views education, and the way a child develops socially into an adult.